Skateboarders Margielyn Didal and Christiana Means of Team Go For Gold Philippines have shown the resolve needed in their challenging journey to qualify to the 2020 Tokyo Olympics. Both reached the semifinal round of the Street League Skateboarding World Championship held recently in Rio de Janeiro, Brazil, kicking off their Olympic quest with a lot of promise. “Congratulations to both Christiana and Margie for making the semifinals in this prestigious tournament. Although we were not able to advance further, this is an important step in Olympic qualifying,’’ said Go For Gold godfather Jeremy Go. They also emerged as the first Filipinos to go that far in the SLS where the top 54 skateboarders in the world saw action. 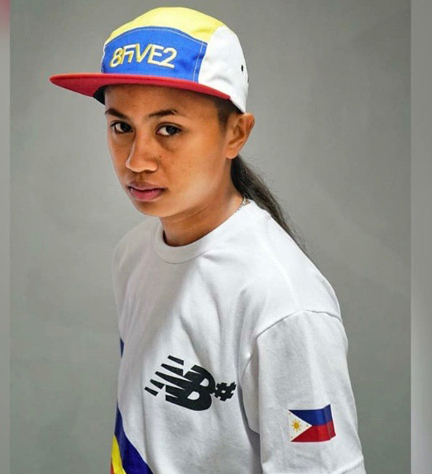 Didal, who catapulted to instant fame when the Cebuana captured the gold medal in the Asian Games, landed 14th overall in the semis with 20 points while the Oregon-based Means placed 22nd with 11.8 points. “We know that with the right exposure and support, our athletes can improve further and we are happy to journey with them in their quest for gold,’’ said Go, vice president of Powerball Marketing and Logistics Corp., the company behind the Go For Gold Program. Only eight skateboarders led by Leticia Bufoni of Brazil and Americans Mariah Duran and Lacey Baker advanced to the Super Crown Final of the first world qualifying meet for next year’s Olympics. “Margie and Tiana may have missed the finals, but they managed to place good in the rankings,’’ said Monty Mendigoria, president of the Skateboarding and Roller Sports Association of the Philippines. Aside from the PH skateboarding team, national athletes from triathlon, cycling, sepak takraw, dragonboat and wrestling are also being supported by the Go For Gold program. “This is just the first ranking competition of world skateboarding and the reason why our athletes competed was to gain points and establish their world ranking in order to earn a slot in the Olympics,’’ added Mendigoria. Buoyed by her golden feat in the Asian Games last year in Palembang, Indonesia, Didal has trained her sights on bringing home the country’s first gold medal from the Olympics.